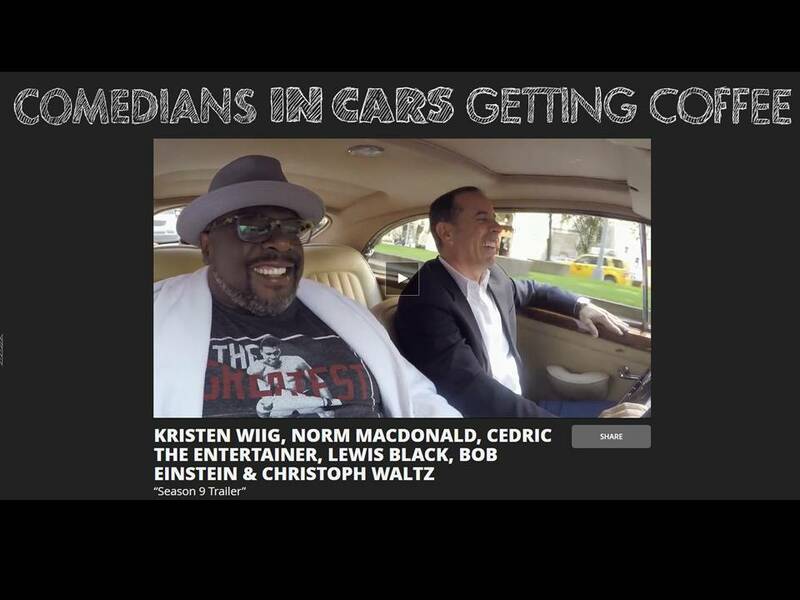 Nixon Motor Sports: Comedians in Cars Getting Coffee: New Season Jan. 5th! Comedians in Cars Getting Coffee: New Season Jan. 5th! 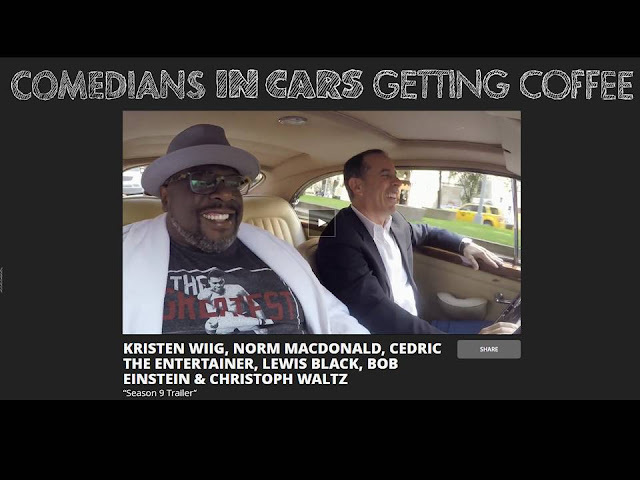 Fellow comedians that will be appearing in future episodes include Kristen Wiig, Cedric the Entertainer, Norm McDonald, Lewis Black, Bob Einstein, and actor Christoph Waltz. If you aren't familiar with this internet only show (that you can watch anytime for free), let me try to break this down for you. Unlike a normal talk show where a "host" sits at a "desk" and interviews "people" in a cleverly disguised format for them to "advertise" the latest show/CD/movie, CICGC is totally different! Jerry drives some really cool car, picks up the "guest", and then they go visit a diner and have coffee. During this entire time, the two of them are talking and being funny. See, that's a really clever way to have a TV show that's not on TV, and isn't really a show.